A CC Cream that corrects at the same time? I'm definitely "game" to test this out! Here's the result of me using Etude House Correct & Care CC Cream Silky. As always, this came with a cute "princess-y" packaging and what sets this apart from other CC cream packaging is that, it comes in a "tube" (my favorite) and a "pump" (now that's a WINNER in my dictionary)! 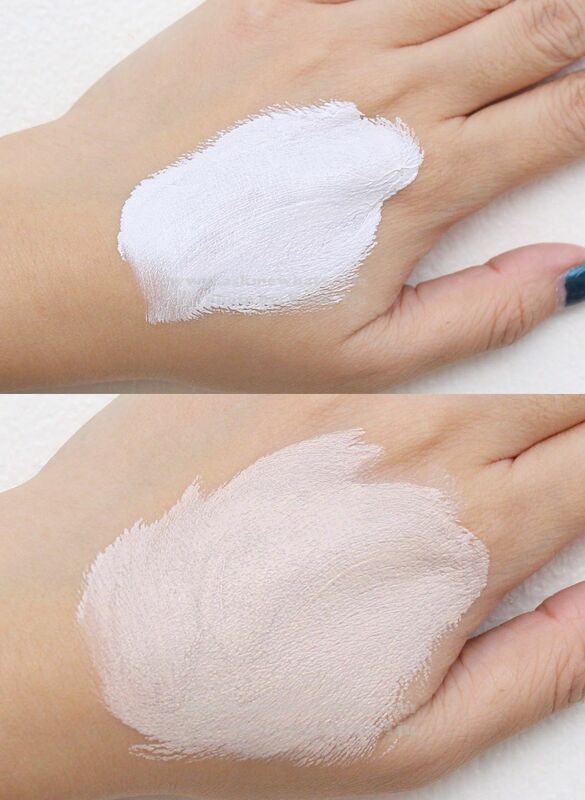 Shade-adjusting CC Cream, it dispenses out white but changes color after blending. "Silky" sets into a matte finish but non-drying. Compared to other CC creams I've tried, this has one of the best coverage. May correct minor skin issues like redness, dullness and uneven skin tone. 35g only as compared to other BB and CC creams from the same brand. Oil control may not be enough especially for oily-skinned users. Will create white cast due to SPF content. A brightening CC cream that gives minimal to light coverage. The Etude House Correct and Care CC Cream Silky helps even out skin tone and makes dull skin looks brighter. Start dispensing a small amount and gently apply directly on skin with clean fingers before you go on second layer. Glowing variant may be better for normal skinned users who prefers the "Korean Makeup glow". To prevent "white" complexion or white cast, use darker powder foundation to set the CC cream. I highly recommend Silky to be used to users with dry, normal and combination skin. Users who don't need much coverage and don't have much skin issues. The amount I dispensed for the whole face. The texture is very much like that of any CC creams, the only difference is that, the Etude House Correct & Care CC Cream Silky has micro color-changing capsules that is grainy and slightly coarse. Upon blending the product, you get a bit of a light pink-beige shade that is meant to "color correct" your skin. Keep in mind that this is a CC cream so it is meant to help color correct and not much on the coverage department. Due to the texture and presence of micro particles, it is best to apply with clean fingers. Can you spot the portion that has CC Cream? 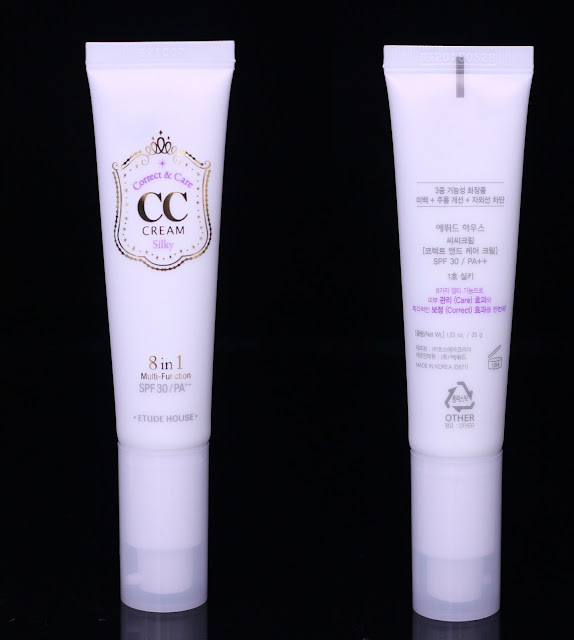 Overall, I have to say this CC Cream is one of the best and most unique I've tried to date! Most CC creams I've tried just give me a bit of hydration with a bit of "color correction", but definitely not as much "change" as compared to the one from Etude House. Please do not mistake this for a BB cream, there won't be much coverage, concealing powers or oil-control properties, you may get that by adding a layer of your favorite oil-control primer or set everything with an oil-control powder to help prolong your makeup for the whole day. How do you like my newly tested Etude House Correct & Care CC Cream Silky? Do you think this type of CC cream would work for you? but it's worth naman! Give it a try na lang once they go on sale! sayang ms nikki di ako nakaabot sa buy 1 take one nila..
oo nga, pero there will be more for sure! I've been swatching it for a long time but I ended up buying the face shop full stay cc cream because of its compact mirror. ahh, gets! Face Shop seems nice too! MMmmmmmm pass. Thanks for this though!